Cairo – The International radio station NRJ is rapidly expanding in the Arab world. After its English broadcasting experience in Lebanon, it launched a French station in Morocco last week and celebrated the opening of its first Arabic station, which will broadcast in Egypt. NRJ International also runs stations in Ukraine, Russia, the Netherlands, Sweden and many other countries, in different languages, aiming to present music and entertainment programs for the youth. Egyptian businessman and NRJ’s director in Cairo Walid Mustapha told Asharq Al-Awsat that the new station aims to provide entertainment targeting youths between 13 to 39 years old. The station will start by covering the Cairo Governorate and will then expand to others before the end of 2017. The main headquarters of NRJ International is Paris where it was established in 1981 and it has since expanded to 20 countries. It hosts celebrities from the world of music, arts, and sports. Currently, NRJ seeks to compete with local music and entertainment stations in the Middle East. It launched two new stations in Morocco and Egypt, on 25 March and 2 April respectively, while its branch in Beirut has been operating for years now. 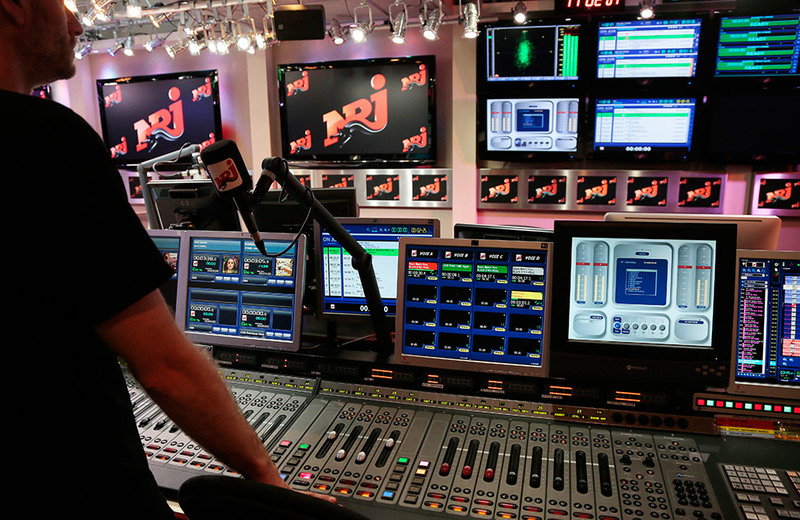 In France alone, NRJ operates 18 stations. Mustafa said that the contract he inked allows him to operate an FM station, which will broadcast on “92.1 frequency”. It will also run mobile apps and have digital coverage. The Egyptian businessman, who is a co-founder in the “Youm 7” newspaper and al-Nahar local television station, said he has cooperated with young experts to work in this field and that new faces will be introduced. He added that 95 percent of the station’s content will be broadcast live, featuring interactive segments through text messages, social media and others means that links listeners to the station. Mustafa said that the first time he applied to acquire a radio frequency was in 2007 and he persisted to reach his goal until he finally obtained the authorization. NRJ kicked off its work in Egypt based on a partnership between the private sector and the Egyptian Radio and Television Union, a government entity. The station will broadcast from it studios in the Egyptian Media Production City (EMPC). Mustafa asserted that the launch of this international station represents a positive message for foreign investors, especially in this field. He also stressed the importance of commitment to local laws and the media honor code. Immediately after the inauguration, NRJ International sent congratulations in different languages, saying: “Congratulation Egypt…You joined our network”. Mustafa viewed this as free propaganda for Egypt and its reputation worldwide. It is a proof on Egypt’s stability and security that is suitable for investments and tourism, he said. Egypt has around 20 broadcasting stations, half of which are FM frequencies. NRJ’s director said the difference between the new station and local competitors is that NRJ is considered an international trademark, broadcasting global content taken from the mother station, but with an Egyptian touch.